CS Lewis was probably the most quotable Christian of the past century. I dare say that every second book in a Christian bookstore has at least one quote from the great thinker. I have been looking for an excuse to publish some of my favorite CS Lewis quotes. 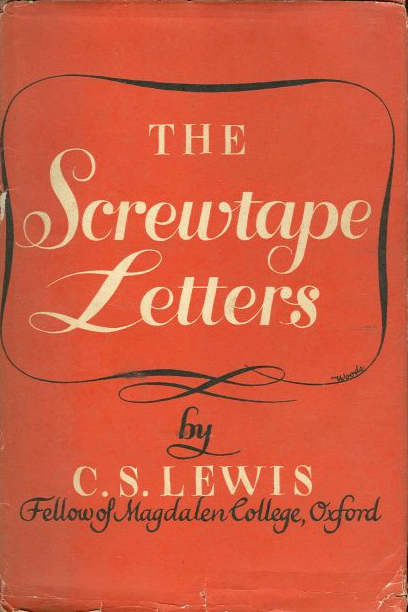 Well today, February 9th, just happens to be the 68th anniversary of the publication of Lewis’s classic The Screwtape Letters. Lewis once said that Screwtape was his least enjoyable book to write. If you’ve read it you’ll not be surprised. I actually had a difficult time finding quotes from Screwtape – I have just one, perhaps you can think of others – but it was easy to find pearls from his other works. Here are 12 of my favorites. 3) “Christianity, if false, is of no importance, and if true, of infinite importance. The only thing it cannot be is moderately important.” From ??? I wish I could remember!